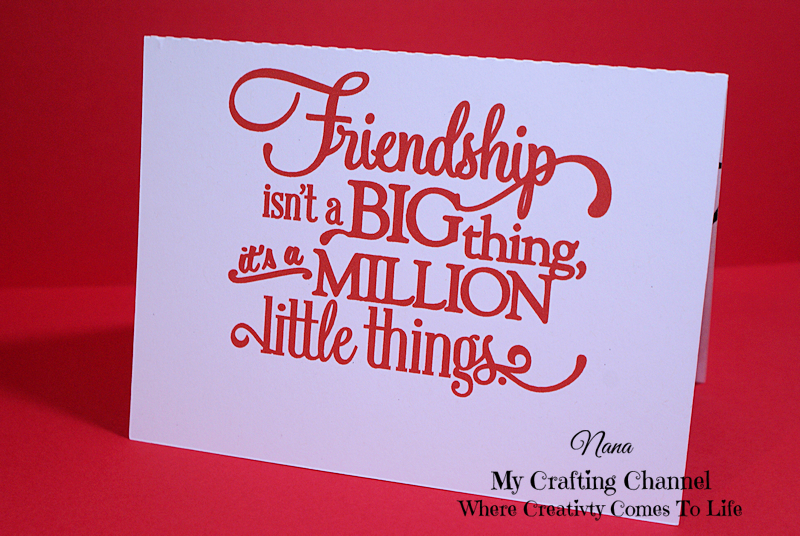 My Crafting Channel: Silhouette Challenges: Ch# 26 (Anything Goes) Mid Posting "Friendship/Thinking of You Card"
Silhouette Challenges: Ch# 26 (Anything Goes) Mid Posting "Friendship/Thinking of You Card"
What a Beautiful card!! Love the sentiment you used!!! Have a great day. Beautiful card and I love the image! TFS and have a great week. Beautiful card and beautiful sentiment! Beautiful card nana, I love it!! !